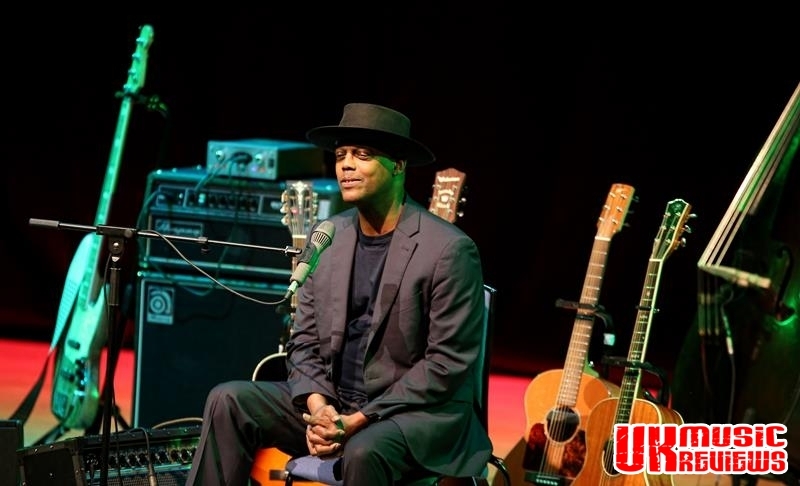 Eric Bibb performing at The Town Hall Birmingham on Thursday 3rd May 2018. 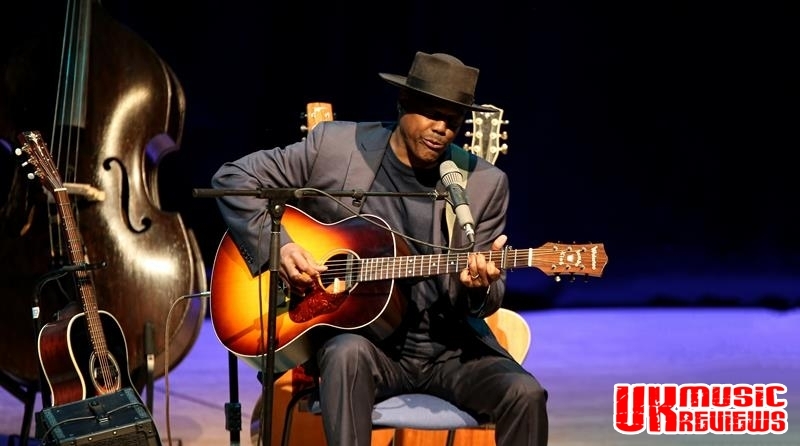 Eric Bibb is one of the finest black American exponents of acoustic blues that there is as well as being an engaging performer and rousing guitarist who is blessed with quite a remarkable deep, warm voice. 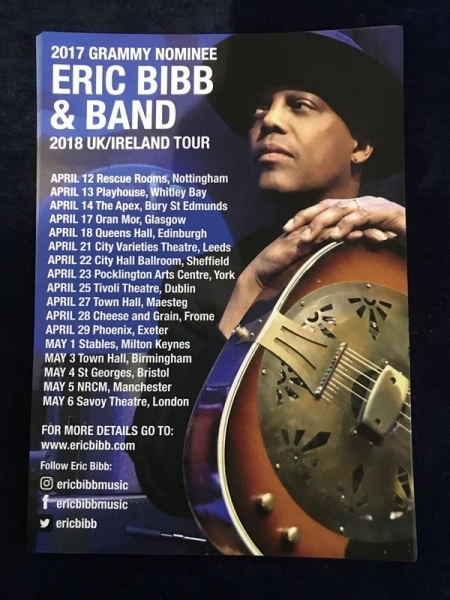 The godson of the late great Paul Robson, Bibb came onto the stage at the Town Hall Birmingham last night wearing his trademark hat and immediately showcased his distinctive voice and rhythmic guitar with the easy going Howlin’s Wolf’s Goin’ Down Slow. 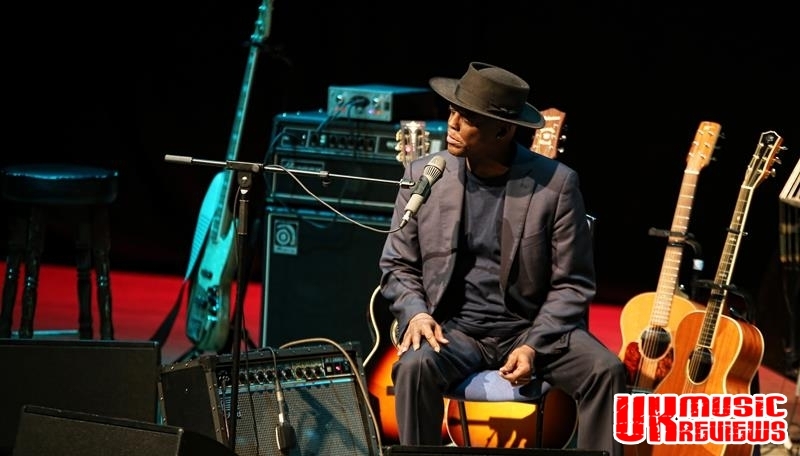 Touring to promote his twenty first studio album, Migration Blues, it was hard to believe that he has been working professionally for going on 50 years. Still touring relentlessly, his dynamic but ever so friendly stage presence continued to charm and seduce, which was evidenced by new track Four Years No Rain. Accompanied by an impressive three piece band, he delivered a blues set that was cheerful and uplifting and when he treated this appreciative audience to their favourite Goin’ Down The Road Feelin’ Bad, it sounded like a celebration. 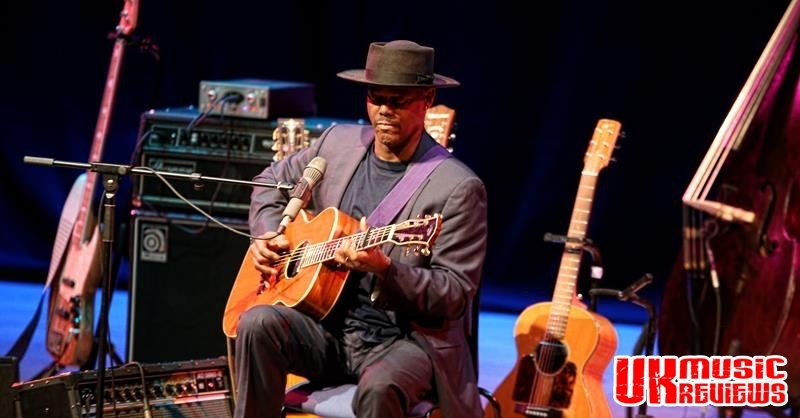 His intricate and effective guitar work was seldom overtly flashy on the likes of Silver Spoon, a song written about Bibb’s move from America to Sweden. In his live performances there is undoubtedly a passion and intensity which when combined with his beautifully penned lyrics, produces many goose bump moments. On My Way To Bamako, written about his first trip to West Africa and dedicated to his friend Habib Koite, had a naive almost childlike quality to it. Panama Hat was followed by the lovely With My Maker I Am One and Needed Time which showcased a perfect combination of his skills; a true slightly husky blues voice and great guitar skills. New song With A Dollar In My Pocket explained the true story of one of Bibb’s blues elders running away from a lunch mob in Mississippi before he closed the main set with fans favourite, New World Comin’ Through. 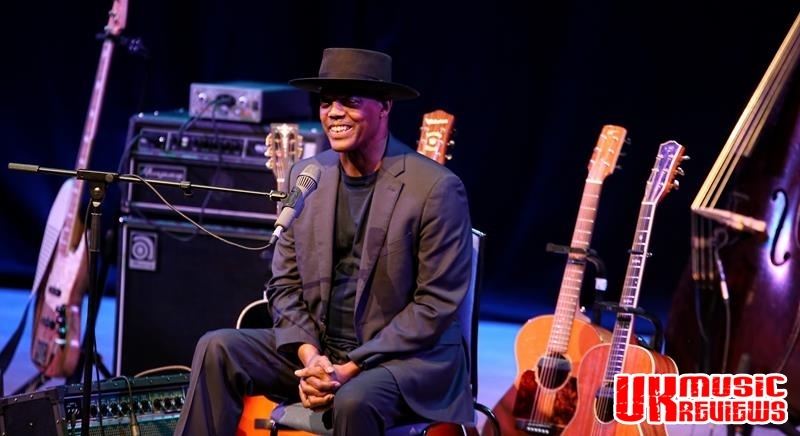 With the audience not quite ready to let him go, he was treated to a well earned standing ovation for Don’t Ever Let Nobody Drag Your Spirit Down and a traditional cover of I Wish I Was A Mole In The Ground. 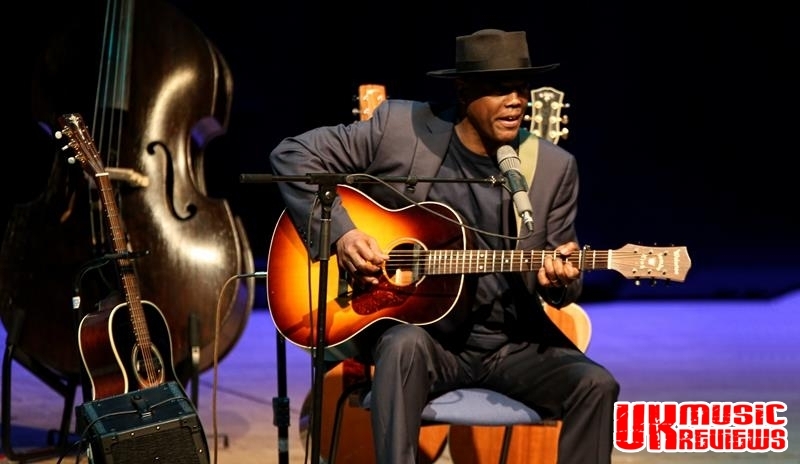 Thanking his audience with his humble and endearing demeanour, Bibb still remains at the very top of his game, as last night’s performance showed.